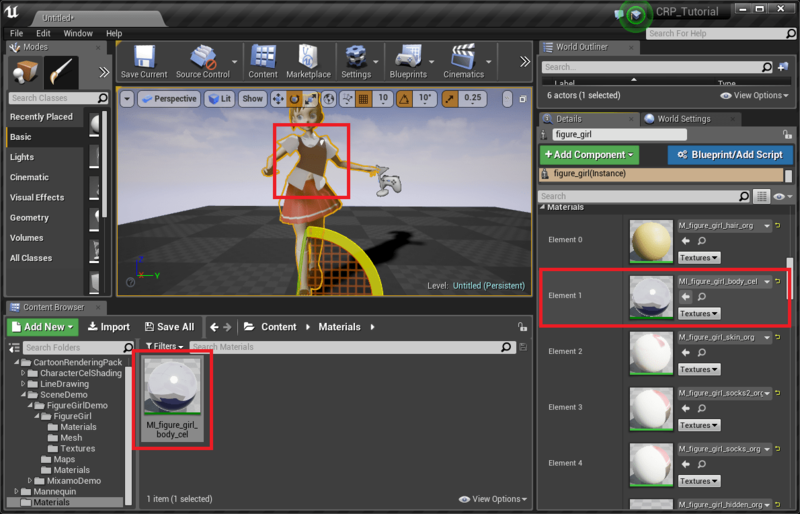 We will now apply cel shading materials to the character. 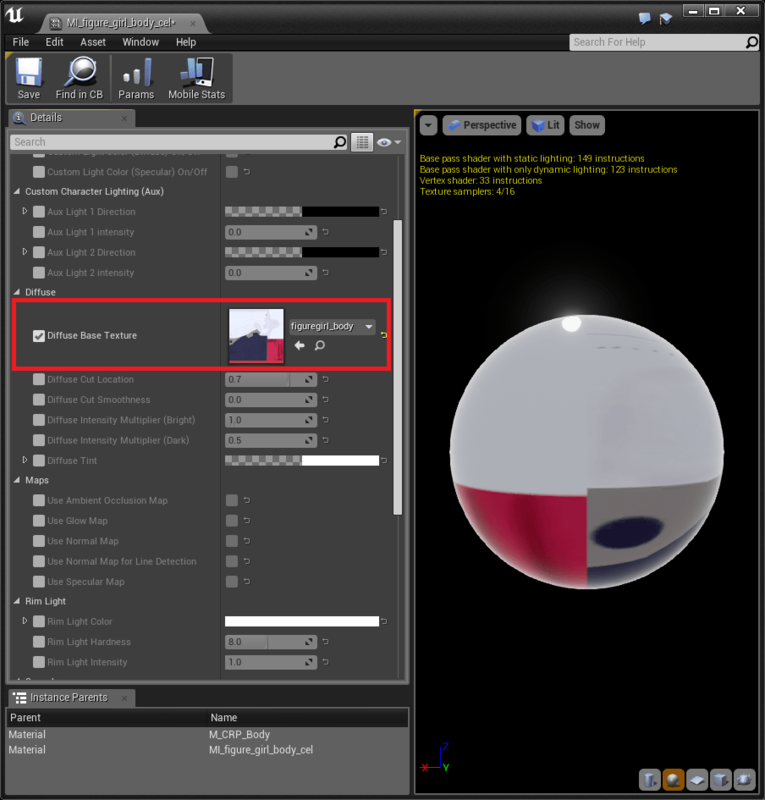 To apply cel shading, we will make new materials (actually, material instances) for those elements and replace the original materials. 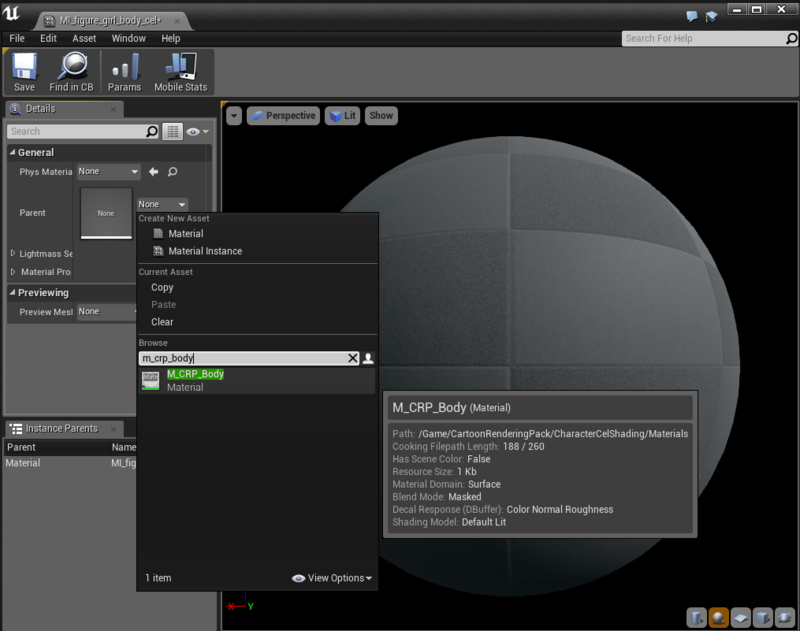 We make a new folder Materials below our Content folder and add a material instance. We renamed the new material instance to MI_figure_girl_body_cel to replace M_figure_girl_body_org. Then, we make it inherit from M_CRP_Body. Then, we change the Diffuse Base Texture to the texture of the original body material, which is, figuregirl_body. 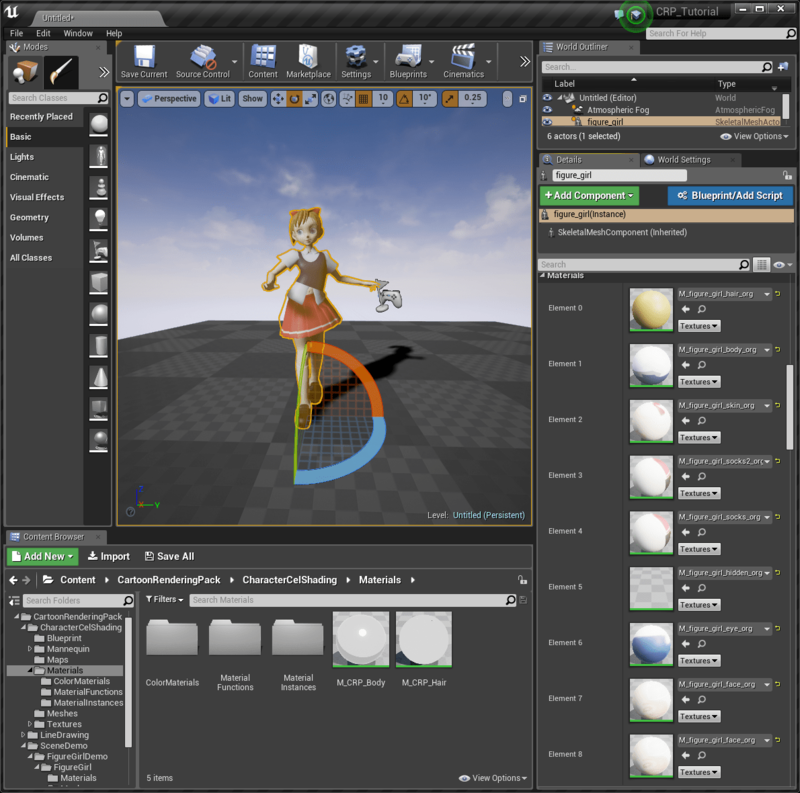 After saving it, we replace the original M_figure_girl_body_org in the Element 1 of the figure girl character by the new cel shading material instance MI_figure_girl_body_cel. Then, we can see the shirt of the character has cel shading look. 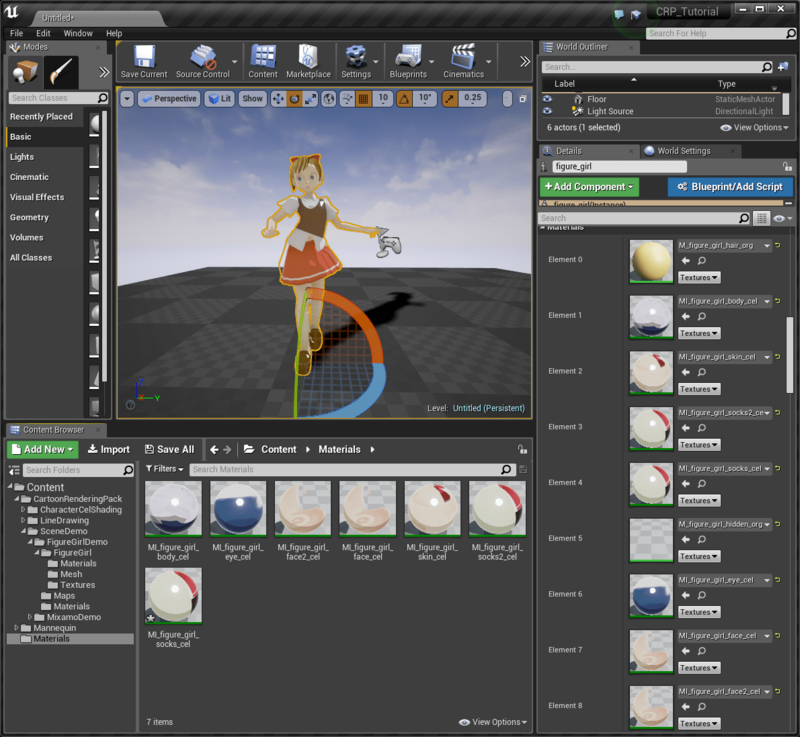 We create six more body cel shading material instances by duplicating the MI_figure_girl_body_cel and change their textures. Then, we assign them to the corresponding material element slots. 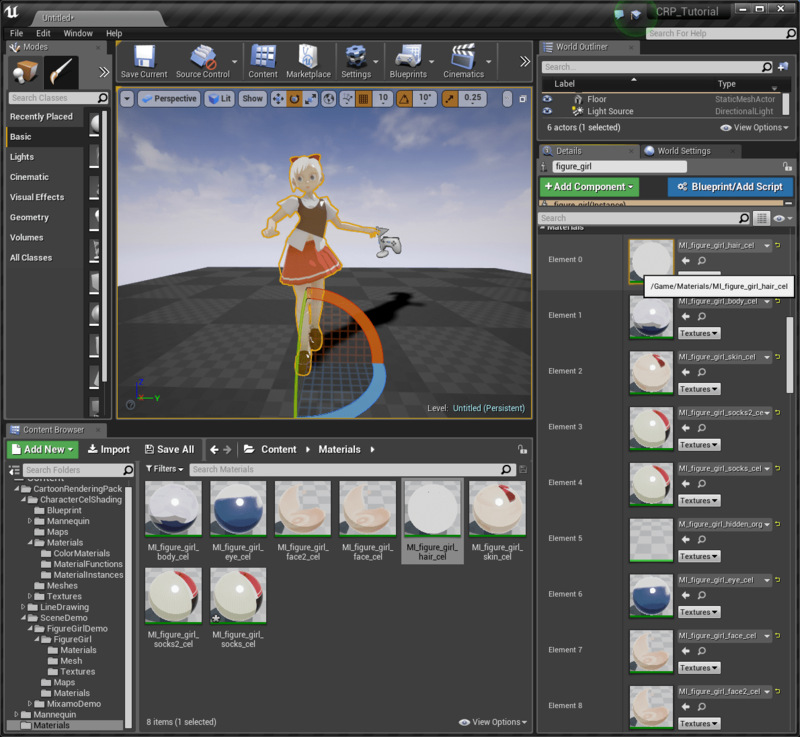 We also add a new material instance MI_figure_girl_hair_cel for the hair, and changed its parent to M_CRP_hair. Then we assigned it to the Element 0, the hair material slot.